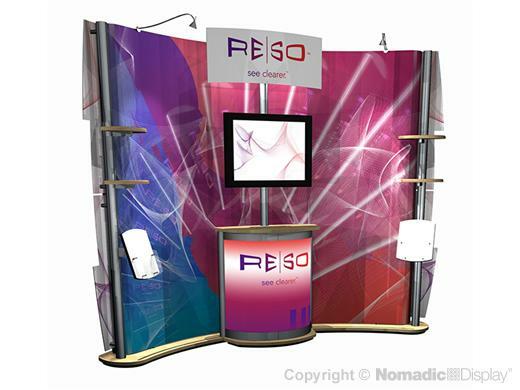 No other custom portable offers you as much display versatility. Foundation is an ingenious tool free riser that enables you to arrange accessories along its built in front rail. This popular model offers an integrated A/V workstation with an integrated backlit display counter, shelving for product display, brochure holders and vivid dimensional graphic signage.